Conserve.iO is a technology company that provides technical assistance and expertise to conservation groups in the form of mobile, cloud, and big-data in order to help them connect with their communities and record and publish conservation data through an accessible and effective modern medium. Conservation data is usually already sparse and the ineffective presentation of this data only furthers hinders attempts to enforce policies, protect the living resources of our planet, and work towards development, food security, and sustainability. Conserve.iO provides conservation organizations the technical know-how to use smart-phone apps, could databases, and big-data networks as an unprecedented platform for understanding and protecting the world’s resources, harnessing the power of crowd-sourced data and informing the public. 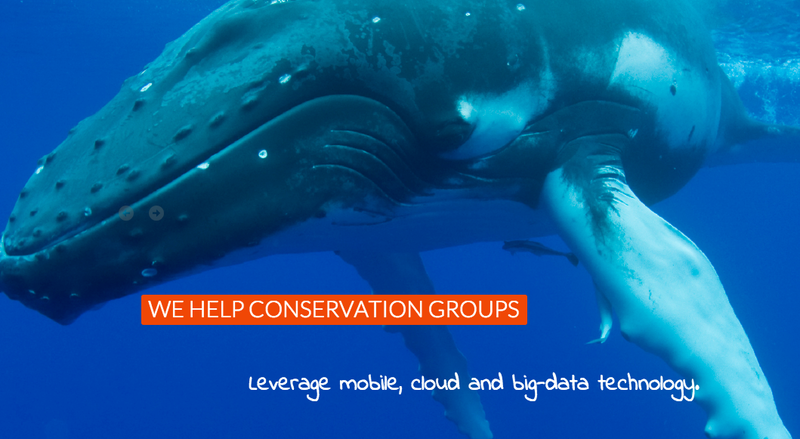 Three of Conserve.iO’s current projects are the mobile applications Whale Alert, Manatee Alert, and SharkNet. 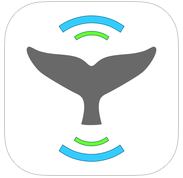 Whale Alert is a crowd-source data app with the aim of reducing the chance of a ship fatally striking a whale by displaying active whale management networks, reporting areas, recommended routes, and real-time warnings of whale sightings along the American and Canadian coasts. 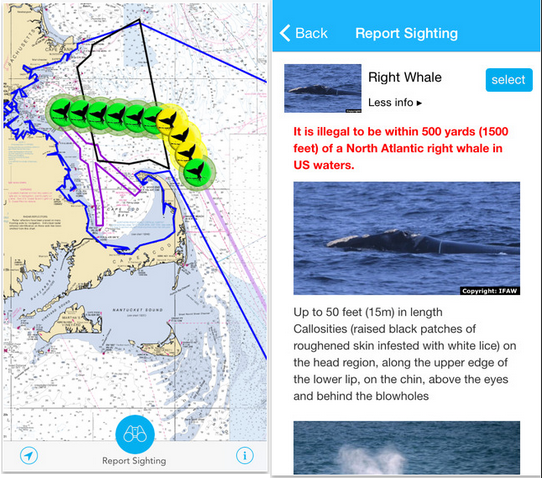 Anyone can download the app and record a whale they see, using their GPS, images, or video, which builds a database of whale sightings and provides ships with crucial information to avoid collisions. The data is then sent to scientists, the National Marine Sanctuary Foundation, and the U.S. Coast Guard, to determine whether a temporary speed restriction on ships should be implemented if whales are particularly active. 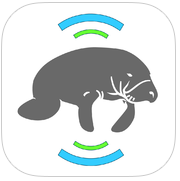 Manatee Alert is an app that provides information on protected Manatee areas, and speed zones for boat users in Florida, including effective dates and times of activity restrictions in the water. The app provides real-time warnings and messages on distressed animals and cautionary zones in order to protect these marine mammals. 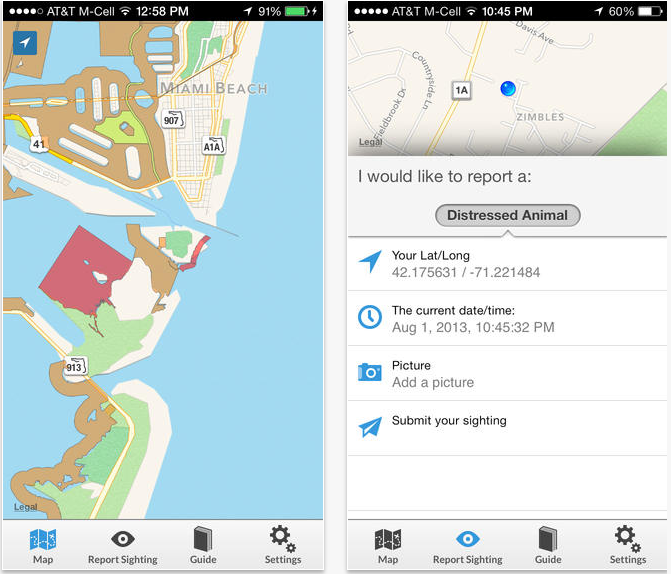 Users can submit information to local authorities on a distressed or injured animal through the app as well. Manatees are especially vulnerable during summer recreational seasons with heavy boat traffic, and this app can help ensure that authorities and boaters can stay in contact to understand when an animal needs help and what areas should be off limits. 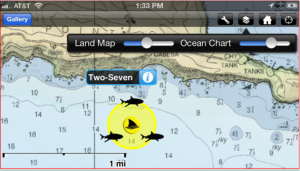 SharkNet is a mobile app that gives the public access to Stanford University science and worldwide collaborative data on shark tracking and research through interactive maps built from electronic tagging and underwater listening devices. 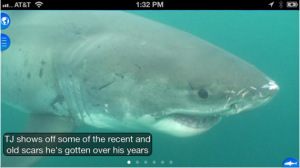 The technology provides real-time data on where sharks are traveling within five-minutes of its detection. 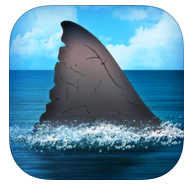 The app hopes to engage the public with this amazing apex predator, and inform them about the dangers facing sharks and their crucial value to the ocean ecosystem. Conserve.iO provides conservation organizations with the amazing capability to connect with the public in a new way, using geographic data to allow people to feel engaged with the animals the organizations are seeking to protect. This kind of innovative technological work and collaboration is crucial for global conservation and the sustainability of our living resources. Conserve.iO partners with the National Oceanic and Atmospheric Administration, National Marine Sanctuaries, the International Fund for Animal Welfare, and Point Blue to create their technology systems.